As I sit here, on yet another United flight, waiting to leave for my current home town of Annapolis, Maryland, my thoughts wander, as they often do on planes, to my family. Throughout my career, people have asked me how I juggle big global jobs and a family. The simple answer is: it isn’t easy. It requires some sacrifices, and you have to really work at it. But for me, it’s been sooo worth it! If you think this might be for you as well, here are a few tips I’ve found that really help. Set the right expectations up front. 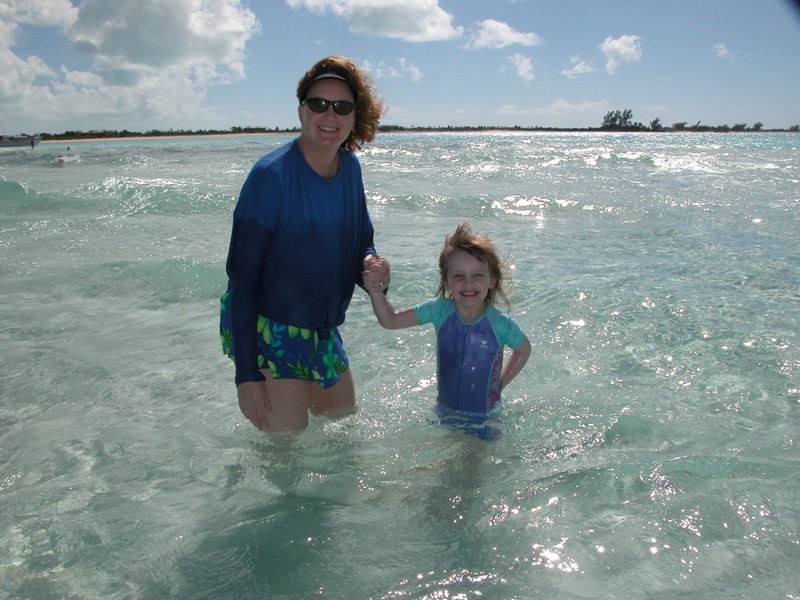 Before I joined Kraft in 2005, I made it clear to my boss I wouldn’t “give up” my then two-year-old daughter by traveling two-to-three weeks every month as I had earlier in my career. So we agreed performance was what mattered and how much I traveled was up to me. Then I had the same honest, direct discussion with my team. Eliminate your daily commute. If you are going to have to travel for work, you need to minimize your daily commute so you can be home as much as possible every day that you are in town/in the country. One of the reasons we moved to the North Shore of Chicago was so that I could have a global job (150+ countries) and a 15-minute commute. Travel only when truly necessary. Since I’ve lived and worked up and down the East Coast and literally all over the world, there are few markets I don’t know something about first hand. Therefore, I don’t need to spend a lot of time on the road just getting a sense of what my company and my team are facing. I travel when I really need to, but I’m a huge fan of virtual meetings and my teams have been great about working that way too. (P.S. : I’m also a huge fan of getting in a lot of miles before having kids so that you can have a similar career advantage — not to mention all the fun of seeing the world!). Use your plane time. I used to love reading books or watching movies while flying. These days, plane time is almost exclusively for working or catching up on sleep so I’m ready to play/engage with the family when I walk through the door. Minimize jet lag. I don’t use an “over the counter” remedy to deal with jet lag anymore. I just avoid it or gut it out. For example, if I have a meeting in London, I will fly in that morning, work a full day, have an early dinner with the team and then head to the airport to catch the last flight back. Ditto with LA. I may be tired but I never suffer jet lag since my body never really leaves local time. It also means that in my daughter’s eyes, going to London is no different than going to New York as I can be home for dinner on Monday night and back by bed time on Tuesday. have to debate each morning what I’m going to wear. Combined, this often means the difference between getting in a work out or making it home before lights out. Join Global Access. Similar to my point above, if you live in the USA and travel overseas a lot, I have found TSA-pre and Global Access to be god sends in saving time and reducing hassles. My advice: sign up today! Stagger trips. Unlike some people who choose to hit the road and just keep going, I find children need frequent quality time so I try not to travel back to back. My rule of thumb is not to be gone for more than four days at a time and to try not to travel — at least overseas — on consecutive weeks. Make them part of the adventure. On short trips, even though she may not be traveling with me, I make sure to talk with my daughter about where I’m going and to show her pictures, etc., to get her involved in “mommy’s big adventure.” Much to the surprise of her day care providers then and 6th grade teachers now, she has quite an advanced world view. By three, she could readily identify the Eiffel Tower, the Great Wall of China and Moscow’s Red Square. And she knew about a wide variety of subjects – from Buddhism to the Vikings. At day care, she loved to tell people about where mommy had been. Then on the occasions when I’d have to be gone for more than a week, like when traveling to Asia Pacific, whenever possible, we all went together. My husband loves to travel and the kids (my daughter and my older stepson) have always been absolute travel troupers. So as often as possible I’ve taken my family with me. From Australia to Abu Dhabi, my job has let me show my family the world (on my own dime of course). And by bringing them along, it has ensured that I have been able to remain a central figure in their lives, not just someone who shows up on special occasions. Indeed, the whole family could be described as true global citizens — at ease with foreign languages, foreign cultures, foreign foods in a way that I never was before actually moving overseas. What a gift! These days, instead of telling her day care providers what mommy did, my daughter loves telling her teachers and classmates what she’s done. And with 3 passports, 4 continents and 20+ countries under her belt by age 11, she has a lot to share! These are some of the things I do to make it work for myself and my family. Granted, having a big job and working globally is not for everyone, and it takes a really supportive spouse. But I’m living proof that if you want it you can combine a young family and a global career and you can reap big rewards — personally and professionally — by doing so. One of the things I love most about my university is its commitment to engaged, experiential learning. It encourages studying abroad, experiencing other cities in the United States, hands-on learning, teacher-student relationships, simulations and research to enhance the education that happens in the classroom. Because of that culture, I have been able to study abroad three times, create several portfolios of written and multimedia work, work one-on-one with professors, and participate in Model U.N. and poverty simulations. More than that, though, my higher education has provided me the opportunity to meet people from all over the world in a tiny university town. I have lived with students from around the globe; roomed with a girl from Ghana who has become one of my best friends; discussed American politics with an Indian citizen residing in Singapore; felt the fear of Nepali friends whose homeland experienced mass destruction; and spoken Spanish with native speakers who appreciate that I make an effort. This type of immersion, though, does not just happen. One needs to search for it on and off a university campus. Whether you are studying abroad or in a different city in the United States, culture surrounds you. If you’re seeking cultural experiences while in college – which you should to prepare yourself for an increasingly globalized world that relies on bilingual and bicultural skills to be successful – here are some things that you can do based loosely on some of the experiences I have had. The easiest way for me to find diversity and culture on campus was through themed housing. 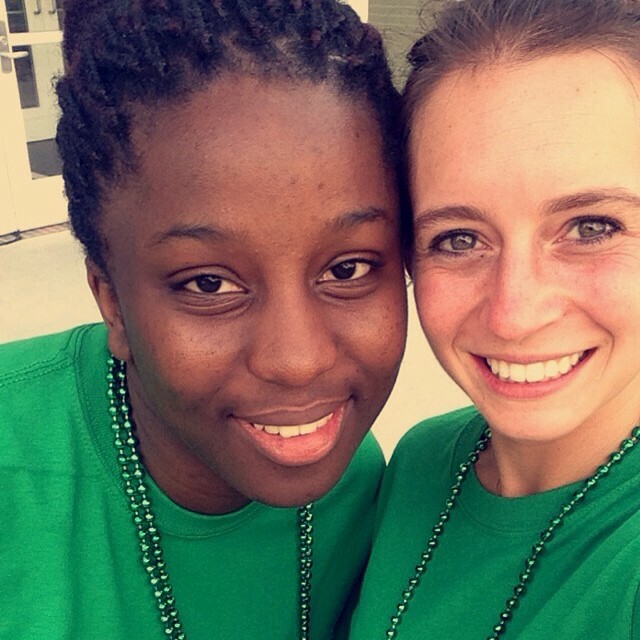 Many people with whom I became acquainted my first year lived in an international learning community where students interested in other cultures and from other parts of the world gathered to celebrate each other. I applied to live there my second year and have never left. Many universities have themed housing, which usually requires an application. By targeting a specific housing arrangement for yourself based on culture, you can find yourself living with someone from a different country, religious background, or first language. At first it may seem inappropriate to inquire about students’ backgrounds, but that is the beauty of themed housing. 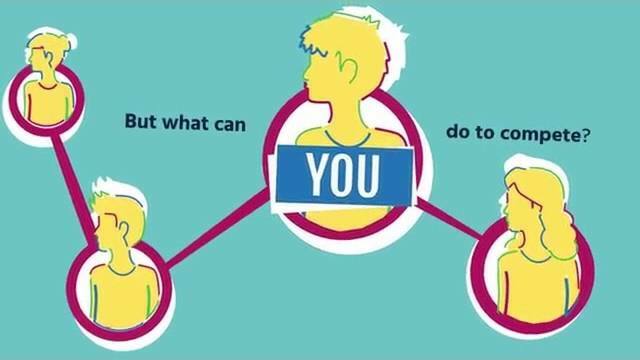 Those types of conversations can happen naturally and in a safe, nonjudgmental environment. There is always orientation for students: new students; transfer students; and international students. International students – whether they are in the U.S. for a semester or for four years – have an orientation to get them acclimated to the culture, language, U.S. higher education system and the particular university. I personally never helped with these orientations, but I knew the students who did. I would show up to open events (many times enticed by the free food) to get to know some of the newer students. They had plenty of resources via their orientation leaders, but I wanted to offer them another one as a domestic student and to simply extend a hand of friendship. Through friends of mine who ran the international student orientation for the spring 2016 semester, I was able to go to dinner with a group of students to talk. Many of them seemed overwhelmed and frightened. They remained quiet for much of dinner, listening to their leaders talk. 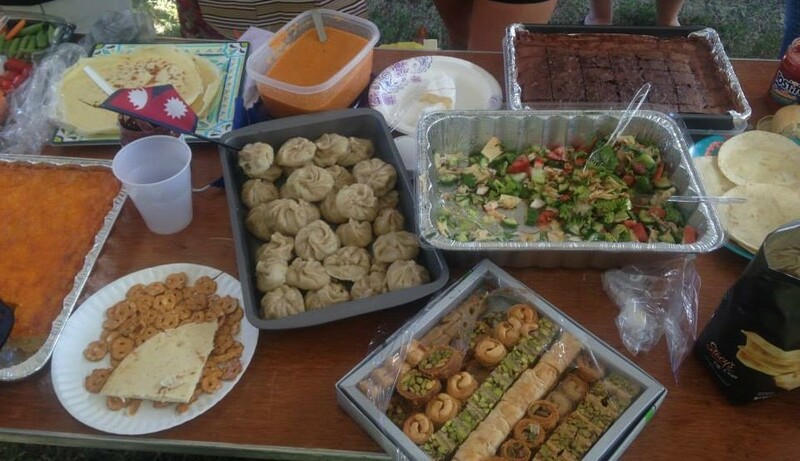 Through an international tailgate, members of the international and U.S. communities can start conversations about where the food comes from, what it consists of, and how and why it is eaten. When we moved to a local coffee shop, I sat with a third-year business student from Syria. I’ve met her once or twice, but never had an in depth conversation. I asked her what she did for break, to which she responded that she went home to Damascus. I found it hard to ask her about the situation in the country and the difficulty with getting there and back to North Carolina: media reports make it seem as though the entire country is in shambles. Another transfer student sitting with us lived in Lahore, Pakistan. There were so many questions I had but didn’t know how to phrase without seeming, well, American. Naturally, though, the conversation shifted and I heard stories of their countries from their perspectives – not the media’s. I left that coffee shop a little more enlightened than I had been. One of my host cousins and I threw water at each other constantly during Carnival, the day when I truly felt welcomed to the country. My university has a growing Spanish-speaking population, which has made it easy for me to continue using my Spanish-language skills as well as immerse myself in Latin culture. But for students who look to speak Mandarin, Arabic and even French, it’s much more difficult to find spaces to practice. By making friends with native speakers, not only are you helping yourself, but you are, in a way, helping the students who might not have someone with whom to converse on a daily basis. Native speakers are always pleasantly surprised to find people who want to speak to them. It’s a way to celebrate a culture and also feel a little bit more accepted. If it’s hard to find students who speak a critical language, there are a lot of online groups you can join to video chat with others who are learning English. 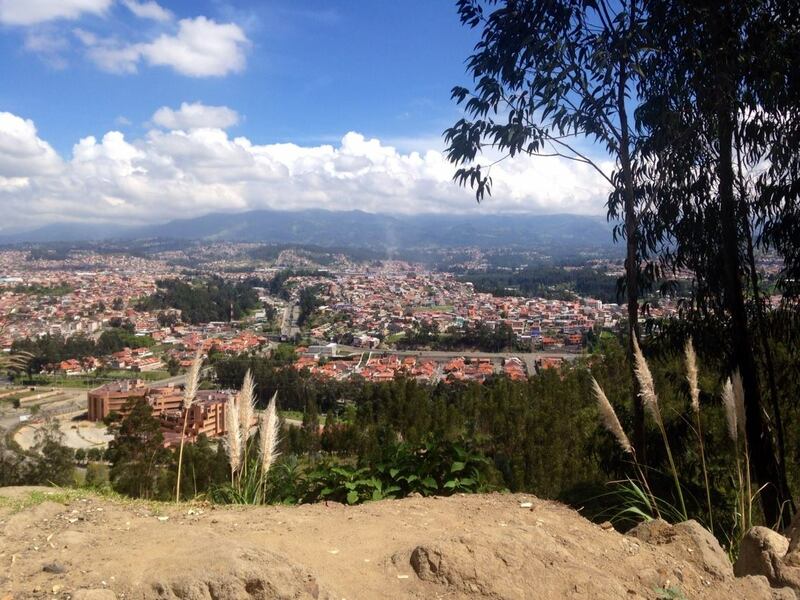 This view of Ecuador comes to you courtesy of Amaru, a zoo with animals saved from abuse. I spent three weeks in Costa Rica understanding Latin culture, five months in Cuenca, Ecuador speaking Spanish 14 hours a day and picking up some Quechua along the way, and two weeks in Honduras teaching young men about gender-based violence. Every experience taught me something new about the language, the culture, the cuisine and myself. Going abroad teaches you how to live in another culture, to navigate it in a language that is not your own, to listen more attentively and to understand what the world outside of your hometown or university looks like. Who knows — living and learning from someone (seemingly) different from you can lead to a lifelong friendship, something I found with my very good Ghanaian friend, Osca. None of the conversations you have and adventures you embark on can happen without effort, curiosity and genuine interest. My two weeks in Honduras reminded me how important it is to cultivate relationships with people. You need to build trust with anyone, regardless of who they are or where they come from, in order to have meaningful conversations and interactions. Don’t assume that people will open up to you upon meeting them, nor should they be treated as a talking book that will answer your questions. And, possibly most importantly, don’t forget that common interests form the basis for real relationships. It’s just as vital to find those connections as it is to learn from each other. Morgan is an Italian-Polish American who speaks Spanish, has started to learn Portuguese, and is passionate about bringing people together no matter their differences. She will graduate from Elon University with a B.A. in international studies and minors in journalism, Spanish, peace and conflict studies. In its 113-mile journey from Key Largo southwestward to Key West, Florida’s Overseas Highway never fails to delight the senses of sun-starved snowbirds with sparkling blue and green tropical waters, lush tropical vegetation, and seemingly endless sea and sky vistas. Nor is the roadway itself anything less than spectacular, traversing as it does three dozen, narrow, low-slung islands and 42 causeway bridges, the longest of which is nearly seven miles. But in their enjoyment of the trip and their eagerness to get to hip and happening Key West, most travelers overlook the many worthwhile sites along the federally-recognized All-American Road that also serves as the inaugural stretch of U.S. Route 1, sites that are much more representative of the truly unique ecosystem and culture that is the Florida Keys. Profiled below are ten of the more worthwhile stops to consider the next time you head off into the tropical sunset. N.B. U.S. Route 1 officially begins in downtown Key West at Mile Marker (MM) 0. Addresses on the Overseas Highway, therefore, are calculated by how far they are from Key West, with “bayside” referring to the northern side of the road, toward the Bay of Florida, and “oceanside” referring to the southern side, toward the Atlantic Ocean. John Pennekamp Coral Reef State Park, Key Largo (MM 102.5 oceanside); 305-451-6300. Entrance fee: $8 per vehicle. African Queen, Marina del Mar Marina, Key Largo (MM 100 oceanside); 305-451-8080. Key Lime Products, Key Largo (MM 95.2 oceanside); 305-853-0378. Until the hurricane of 1926, these small, yellowy limes were indeed grown commercially throughout the Keys. Now most come from Mexico, but that doesn’t stop local entrepreneurs from cultivating a veritable cornucopia of Key lime products, including candies, cookies, ice cream, tea, jelly, candles, and of course Key lime pie. This colorful, low-key roadside emporium offers a wide selection at very reasonable prices. Lured onwards by the evening and night life in Key West, most motorists don’t even consider overnighting anywhere else. What they end up missing is the opportunity to recreate at will and at length at dozens of all-inclusive beachfront resorts. (“All-inclusive” refers to amenities such as swimming pools, tennis courts, kayaks, paddleboards, snorkeling equipment, and bicycles, NOT food and drink. Jet skis and sailboats are not included and there’s invariably a resort fee.) Among the best family-oriented options are the Pelican Cove (305-664-4435) and Postcard Inn (305-664-2321) both on Windley Key; the Chesapeake Beach (305-664-4662) and the Cheeca (305-664-4651), both on Upper Matecumbe Key; and the Caribbean-style (and sized) Hawks Cay (305-743-7000) on Duck Key, which even has its own dolphin encounter. Theater of the Sea, Windley Key (MM 84.5 bayside); 305-664-2431. For 70 years now, Theater of the Sea has been entertaining Overseas Highway travelers (and especially those in the back seat), with its stunt-studded dolphin, sea lion, and parrot shows. Beginning in 1987, they began adding interactive encounters, first with dolphins, and eventually with sea lions, rays, sharks, and most recently, sea turtles. General admission to the grounds and all shows: $31.95 ages 11 and up, $21.95 ages 3-10. Encounter prices vary, but the most popular dolphin ones run $195 to swim, $180 to wade, and $85 to meet (you don’t get in the water). Similar marine mammal encounters can be had at Dolphins Plus, Key Largo (MM 99.5 oceanside and MM 102 bayside); 305-451-1993, dolphinsplus.com; and the Dolphin Research Center, Grassy Key (MM 59 bayside); 305-289-0002, dolphins.org. Florida Keys History of Diving Museum, Upper Matecumbe Key (MM 83 bayside); 305-664-9737. Pierre’s Restaurant/Morada Bay Beach Café, Upper Matecumbe Key (MM 81.6 bayside); 305-664-3225. The Keys are full of waterfront dining opportunities, but few can hold a Tiki torch to the charming white-sand beach and wide open views out over island-studded Florida Bay offered at these two upscale, adjacent sister properties in Islamorada. Take your choice of the two verandahs at plantation-style Pierre’s or dine right in the sand at the Beach Café. Both are especially appealing at sunset. Dinner entrees: $26-55. Robbie’s of Islamorada, Lower Matecumbe Key (MM 77.5 bayside); 305-664-8070. 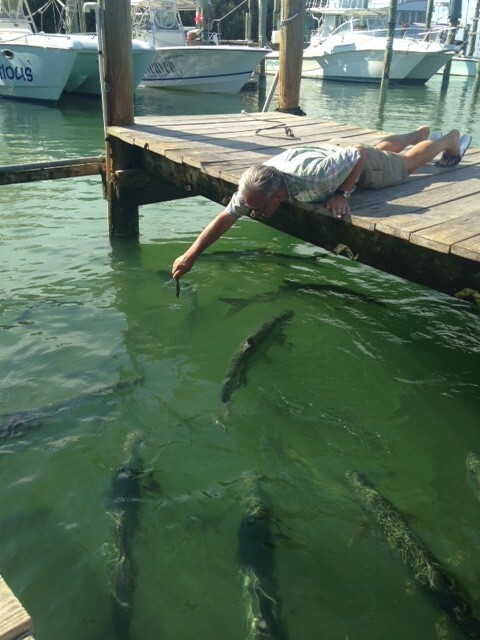 Serious anglers come to Robbie’s for some of the best sport fishing in the country, but fun-loving tourists stop by to eat at the Hungry Tarpon Restaurant, shop at the open air market, and hand feed the 2-5 foot-long domesticated tarpon that congregate under the public dock. (Admission to dock $1, bucket of bait fish $3.) Also available are snorkeling tours and a 2 ½–hour excursion to deserted Indian Key Historic and Lignumvitae Botanical State Parks ($37.50 per person plus a single $7 state park entrance fee). Bahia Honda State Park, Bahia Honda Key (MM 37 oceanside); 305-872-3210. National Key Deer Refuge, 179 Key Deer Blvd., Big Pine Key (MM 30 bayside); 305-872-0774. The visitor center for this sprawling, 25-island refuge devoted to preserving the endangered Key deer, a variant of the Virginia white-tailed reduced by the harsh environment to the size of a large dog (roughly 45-75 pounds), is located in the Big Pine Key Shopping Center. To actually see some deer, however, you’ll need to walk one of the two nature trails (Jack C. Watson and Blue Hole) located north on Key Deer Avenue or cruise slowly through the nearby residential areas on Big Pine and No Name Keys. Free. INFO: Florida Keys and Key West Visitors Bureau, 800-352-5397. My latest “Go Global” video was developed with K-12 educators in mind. Teachers can use it in their classrooms to inspire global thinking and action. Administrators can share it with local legislators and policy makers to challenge them to do more for students. Parents can watch it for tips on how to help their children develop a global mindset. I encourage you to use it and spread the word! As the final week of the holiday season begins, I find myself stumped on a gift for a good friend of mine. His family made traveling a priority growing up, and thus it has evolved to be an important part of his life. He wants to continue traveling, learning about different cultures and opening up his mind. Knowing this about him, I wanted to come up with a gift that encompassed his love for travel, the places, cities and countries he has explored, and his future plans for travel. At first, I tried thinking of gifts off the top of my head. The ideas weren’t original, creative or neat. When I had exhausted my energy thinking, I turned to Pinterest, a great resource for anything original and creative. Sure enough, multiple searches involving “travel” yielded hundreds of results. Some of them were crafty while others were useful and practical. Not only did I end up finding great gift ideas for my friend, but also future ideas for family members and other friends. Passport covers– One of the best gifts I have received was a passport cover. It helps tell passports apart in a family or in a crowd. 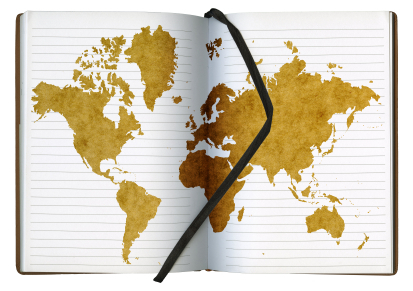 MindMap, an online shop on Etsy, the entrepreneurial hub for original goods, sells handmade leather passport covers, wallets and magnets—among other things—with travel themes. Each leather cover costs between $25-$30 and fits U.S., U.K., Canadian, European, Australian and Singaporean passports. If you’ve never ordered from Etsy, don’t worry. MindMap has more than 250 reviews and 2,200 sales. A search for leather passport covers can also lead you to other cool, crafty items. Scratch maps – Some people love to track and mark the places they have visited in the world. Sometimes it can be as simple as hanging a laminated map and using stickers or tacks to mark the spots they have been. Mix it up a bit! Scratch Maps sells maps of the United States, Europe and other regions around the world for you to scratch away the countries—or even parts of a country—that you have traveled to. The maps cost $28 to $40. They also sell products like scratch journals with cards for each continent. PANDORA charms & cufflinks – Jewelry to commemorate where you, a friend or a loved one has been or to simply tap into the travel bug can be a perfect gift, even if it is on the more expensive side. For men looking for a classy gift for a mom, sister, girlfriend, fiancée or wife, PANDORA has beautiful travel charms that represent travel in general, specific countries and traditional symbols associated with certain places, such as the Statue of Liberty in New York City. Ladies searching for something for the men in their lives can look to cufflinks. Most of them are basic in design, such as globes or airplanes, but Etsy has a few shops that sell customizable, handmade cufflinks if you’re looking for something more personal. Scrapbox – For those with a little more time on their hands and a creative side, Martha Stewart has directions for a travel keepsake box. If you know someone who keeps ticket stubs, prints out photos and holds onto other mementos of their travels but has not organized them into a scrapbook, you can make them a simple box with the name of the city or country on it. Photo coasters – As someone who has access to digital copies of photos from family vacations, this idea is quite appealing. If you have access to photos from a family vacation/exploration, a son or daughter’s abroad experience, or a friend’s favorite travel destination, Shutterfly makes it easy to create coasters as a way to remember travel highlights. They are available in sets of four for $19.99. Just upload the photos and crop them to your liking. Puzzles – I love puzzles. They are great presents for those who like to think and great activities for families and friends looking for quality time and less screen time. Ravensburger has a one-of-a-kind, 540-piece 3D Earth Puzzleball for $44.45 on Amazon. The Ravensburger website also has a plethora of puzzles of landmarks, rivers, castles, cities and maps. Maps barware – Uncommon Goods is a company that sells exactly what its name suggests. The site sells map glassware with the streets of Atlanta, Berlin, Chicago, Dublin, Hong Kong, London, Montreal, New Orleans, Paris, Rio de Janiero, Sydney, Washington, D.C. and many more cities. Some glassware also has topographical maps of some of the most well-known sites in the world, such as Machu Picchu, Krakatoa, the Grand Canyon and Mount Everest. There are pint glasses, carafes, wine glasses, lowball glasses, mason jars and mugs, with the selection varying depending on the city or site. National Geographic Atlas of the World – Last year, Nat Geo published its tenth edition of its atlas to celebrate 100 years of cartography. It’s chock-full of maps, data, trends and facts about the world in which we live. This is a fantastic gift for the family and friends who love learning and educating themselves and others about the world. Not only is it useful for learning, but also to help plan future travels. iPhone camera lenses – Lifehack, a tech and media website, published a list of the best attachable lenses for your phone. They vary in price, but allow you to take almost-DSLR-quality photos on your phone without needing to carry an extra piece of equipment along with you. If you know someone who likes to document their travels—or even their lives—in photos, this would be a perfect gift. Consider including a little case for the lenses so they don’t get lost. Biaggi bags – When you’re traveling around a country, staying in small hostels, it can be hard to find space for your luggage. Or when you’re storing your luggage until the next trip, it may need its own closet because of how much space it fills. Biaggi bags, made famous through Shark Tank, were created to eliminate this problem. The luggage fits everything you need, and when you no longer need it, it folds into a neat handheld bag until next time. TAXI wallet – The Grommet is a quirky website with a bunch of niche gift ideas, and this is one of them. The TAXI wallet is thin with just enough space for an ID, the cards you need and some cash. It folds up and can fit on any part of your person. After searching for and thinking about the perfect gift for my friend, these ideas offer me a much better idea of what I can give him that is both personal and original. There are, of course, plenty more ideas. 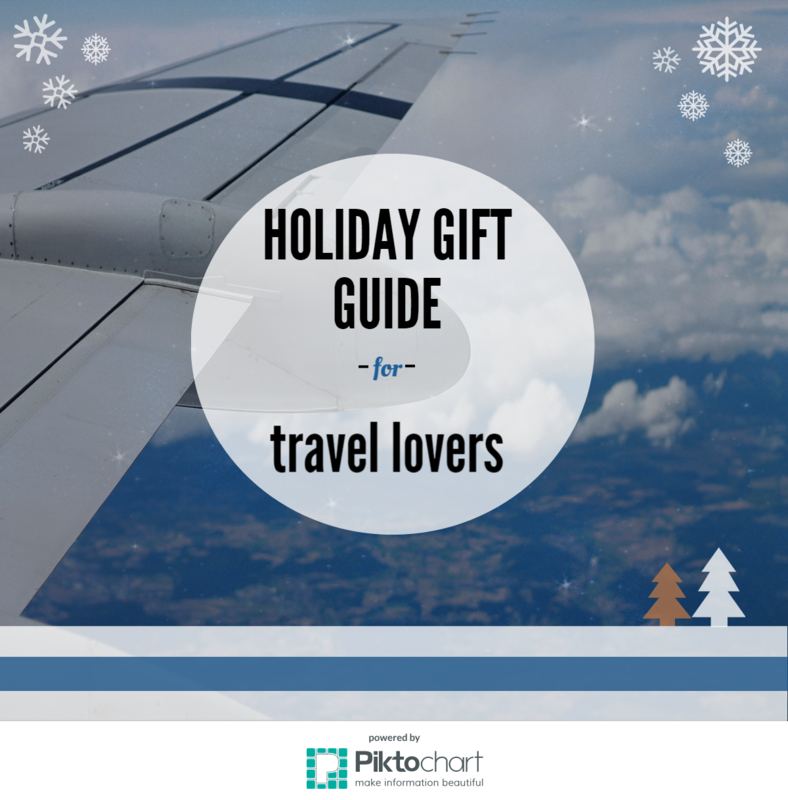 This list serves a starting point for those looking for travel-inspired gifts for just about anyone! 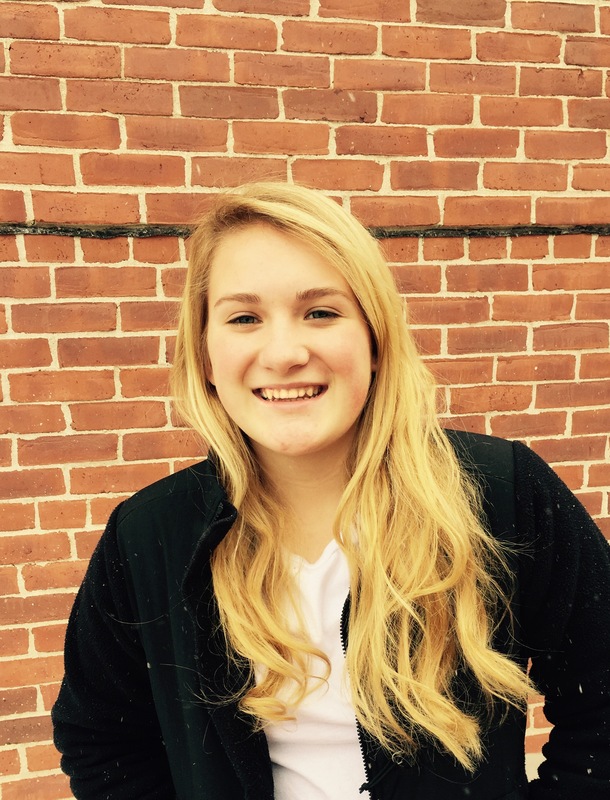 Morgan Abate is a soon-to-be graduate of Elon University hoping to pursue a career in international communications and cause marketing. 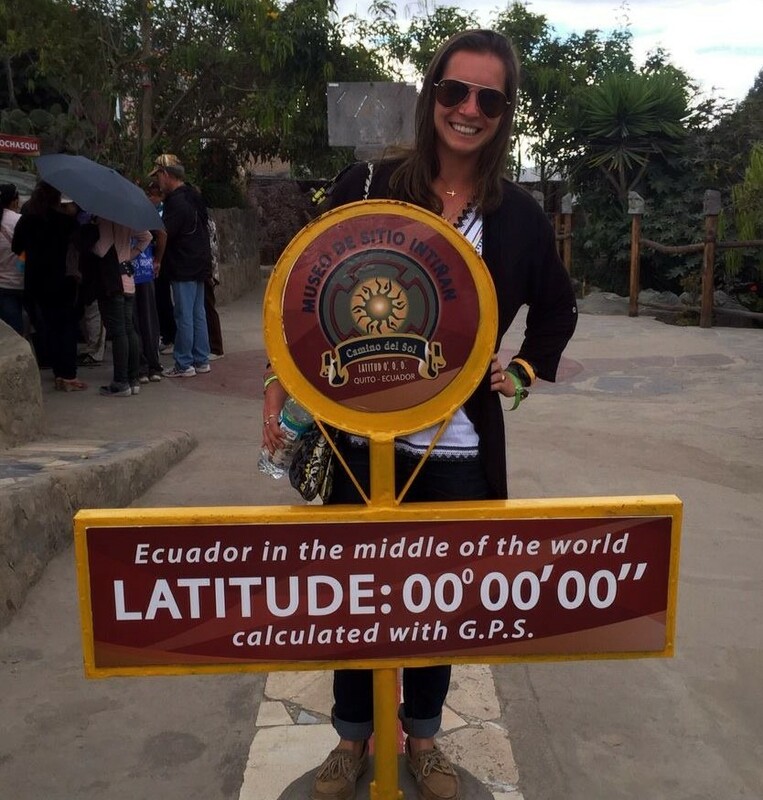 She is fluent in Spanish and English, and is currently teaching herself Portuguese to be able to live in work in Brazil, the business hub of Latin America. An abbreviated version of this Q&A was posted on Reuters and ran in Time‘s Money section, as well as many others. I’m often asked about the costs and the value of study abroad, by parents, students as well as reporters. In response to a reporters’ recent questions, I provided the following answers but — as you can see — my answers are long, longer than what can usually fit into a typical online news framework. Rather than let the work go unread, I decided to share it here in the hopes that it answers some questions with the goal of having you investigate, if you’re interested. For more information, pick up a copy of either A Student Guide to Study Abroad or the best-selling (so exciting!) 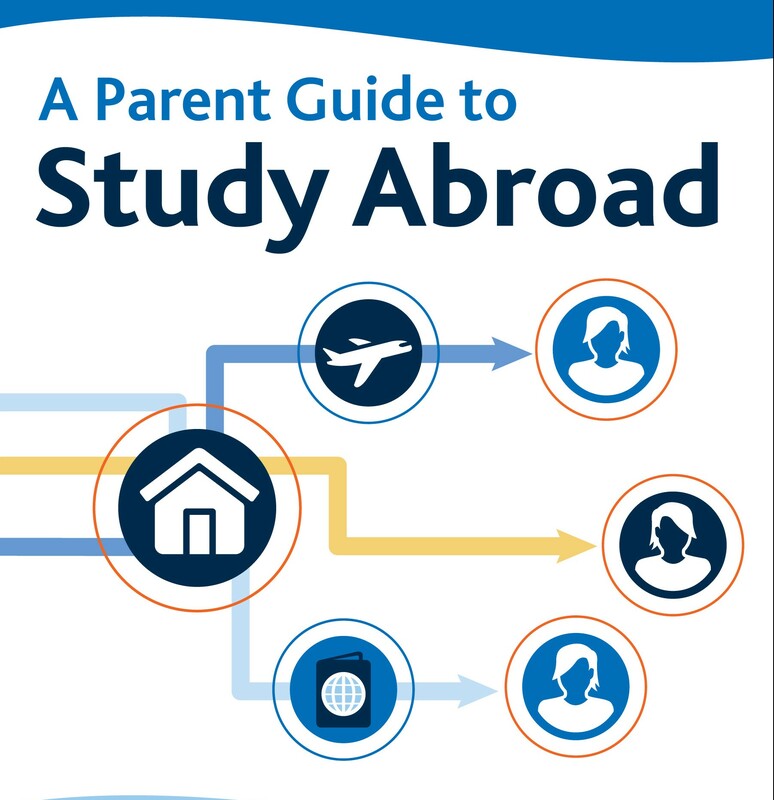 A Parent Guide to Study Abroad (just released in Spanish). What is the range of costs parents can expect for a study abroad program? What particular countries tend be more affordable and, conversely, more expensive for study abroad? Again, it depends on the type of program. Generally speaking, Western European countries such as England, Italy and France are inherently more expensive than developing countries such as Peru, Senegal or Thailand. The difference has to do with the host country’s overall standard of living and the overall cost of basic goods and services. For example, the price of studying abroad for a semester in the Dominican Republic and staying with a host family versus going to Paris and living in an apartment is going to vary quite a bit. But again, to illustrate the wide variability, airfare to one of the developing countries noted above combined with the required immunizations may increase the overall cost. It’s just not possible to answer this question in a vacuum. Are there any steps you recommend parents take to help shave some costs? One, do your research. All programs are neither equal in cost nor overall benefits to a student. Compare and contrast programs, read the fine print and talk to other parents. You will need to commit a significant amount of your own time to review the vast amounts of material available. But it’s worth it. Two, investigate scholarships within your community, at your place of business, and at your child’s college or university. Every year tens of millions of dollars are given to students to study abroad from local rotary clubs to nationally competitive programs like the Fulbright. Most colleges and universities with study abroad offices have a wealth of information about the various forms of scholarships available from a variety of sources. Three, look into the option of having your child enroll directly in a foreign university, which usually requires withdrawing from his or her home college for the semester or year. This is usually the cheapest alternative, and significantly so, and offers your child an opportunity for real independent learning on a global scale. But it is not without its risks. It requires a great deal more time commitment and independence on the part of your child than a university-led program. Your child will need to manage almost everything from applying for and confirming a student visa prior to departure to making sure that transcripts are sent and credits approved back on his or her home campus. Four, once your child is on the ground, there are plenty of ways to save money such as opening a local bank account, getting a cheap local phone, living like a local, using public transportation wisely, and setting a budget (and sticking to it). Does your study abroad affect your financial aid or is there additional aid or scholarships a student can qualify for? Any financial aid your child is currently receiving from his or her university should be transferrable to a study abroad program run by or affiliated with that university, since the tuition you are paying to study abroad probably goes directly to your home university. Some institutions let students use financial aid for non-affiliated, credit-granting programs. It’s best to check directly with the school’s financial aid office. Federal financial aid can be applied to any program as long as credit is earned and the university accepts the transferred credits. Again, it’s best to check with the sources on campus. With respect to scholarships, every year tens of millions of dollars are given to students to study abroad, but they are competitive and require students to apply well in advance. Generally speaking there are five types of study abroad scholarships: merit-based and student-, destination-, program- and subject-specific. Most colleges have a straightforward framework for applying to these scholarships. In addition, there are U.S.-Government sponsored scholarships and fellowships such as the Benjamin A. Gilman International Scholarship for students of limited financials means; Fulbright U.S. Student Program designed to provide for mutual exchange between the U.S. and 140 participating countries; Critical Language Scholarships for Intensive Summer Institutes offering fully funded language instruction and structured cultural enrichment experiences; and Boren Awards for International Study offering students the opportunity to study in regions of the world critical to the U.S. yet underrepresented in study abroad. Plus there is an increase in scholarships being offered by foreign governments and numerous study abroad providers as a direct results of the IIE Generation Study Abroad campaign. IIE also offers the most comprehensive listing of study abroad resources online at www.studyabroadfunding.org. Can a student work while abroad? Yes, but the local laws must be followed with regards to a working visa. There are two distinct benefits of working abroad. One is earning extra cash, and other is the added experience of working in another country. This experience can offer economic insights into a country as well as open up a wide range of intercultural experiences he or she might not have on campus. What sort of insurance changes or additions should be made before sending a child abroad? If your child is on your health insurance policy, keep them on and call your representative to find out if additional coverage is necessary. At the same time, look into the medical insurance being offered by the study abroad provider to be sure it properly covers your child and that he or she completes the necessary paperwork prior to departure. Most countries around the world do not accept U.S. medical insurance and may demand cash prior to treatment if one does not have international traveler’s medical insurance. Are there any sorts of bank account or credit card changes that parents or students should make? If your child is going to be studying for at least a semester or a year, consider opening a local bank account so he or she has better access and won’t be charged transfer fees. Another option is to open a U.S. based account with international branches (depending on the study abroad location) or a U.S. bank that allows for free ATM withdrawals and no foreign transaction fees – same with credit cards. Credit cards are important and provide a means for your child to use less cash, but check the study abroad location to find out if the security chip is used in credit cards as opposed the magnetic strip. If you son or daughter is on your cell phone plan, can they remain on it? Should you drop their line in favor of some sort of local carrier to where they are going? Any other recommendations? Cell phones are a good idea to have, but your child should be using them on a local basis not for calling back to the U.S.; Skype is the obvious free option. Although parents should check their carrier’s plan for coverage, most students tend to either buy a local SIM card to use in their U.S. phone (check to make sure it’s compatible) or buy a cheap, local cell phone and SIM card. They won’t really need their U.S. music or movie lists as they should be immersing themselves in local culture. On this point of communication and technology, parents should not expect their child to communicate regularly, nor should students spend much time on social media. It’s important for the students to immerse themselves in their new home culture to soak up as much learning as possible. Skype every few weeks is enough. Are there areas in which families typically spend money when their kids are traveling abroad that ends up being a waste? If so, what areas are they and what should be done alternatively? One of the most important things parents can do is to help their child create a budget for their time abroad and encourage him or her to track their expenses on a regular basis, getting familiar with the local currency. For some students, using foreign currency does not always seem like “real” money, which can lead to budget-busting problems. Since many students like to travel while abroad, a great study abroad benefit, staying in-country, or maybe taking excursions every now and then, is usually cheaper and students get the benefits of actually living in a country, soaking up the local culture and spending less money, as opposed to being part student, part traveler. If a student is just interested in the travel portion and not ready for the academic commitment, consider a roundtrip ticket and a backpack as a much cheaper option until he or she is ready. Should you send the student with cash? If so, in what currency, and should it be limited? Traveling with some cash (a few hundred dollars) is a good idea, enough to get your child to their ultimate destination combined with some emergency funds, but not enough to make loss or theft a major catastrophe. It’s much wiser and safer to use ATM cards, or even pre-loaded debit cards with pin numbers. U.S. dollars are best and any currency exchanges should take place in-country upon arrival, not prior to departure, where lower rates and transaction fees are usually charged. This opinion piece on study abroad was originally published in the Chronicle of Higher Education. Certainly, any time spent studying abroad is valuable and can help a student become more globally competent, but programs vary widely in their ability to help students gain the depth of knowledge that should come with true global learning. Research conducted over the past 10 years and discussed in the 2012 book Student Learning Abroad: What Our Students Are Learning, What They’re Not, and What We Can Do About It, edited by Michael Vande Berg, R. Michael Paige, and Kris Hemming Lou, shows that far too many undergraduates who study abroad are not learning and developing in ways that were common as recently as a decade ago. Many students reported feeling frustrated in their relationships with friends and family, often feeling isolated and alone. Although most students seemed to muddle through, chalking up the strenuous readjustment to part of the learning curve, it doesn’t — and, in fact, shouldn’t — have to be that way. Students expect college to prepare them for the workplace that awaits them after graduation, and the study-abroad experience is an increasingly important component of that preparation. But to truly help their students become global citizens, colleges must integrate study abroad into a broader global-education curriculum instead of treating it as a one-off adventure. Parents play a critical role in helping their child identify, prepare for and leverage the study abroad experience, but many do not know how to be most effective. Highlighting the importance of knowledgeable yet limited involvement, international careers expert Stacie Nevadomski Berdan, IIE president Allan Goodman, and AIFS president William Gertz, coauthors of A Parent Guide to Study Abroad, have written the first-ever book that arms parents with the right mix of practical information to get involved just enough, while also giving the students the independence to learn and grow on their own. Print copies of A Parent Guide to Study Abroad are available from www.iie.org/publications for $4.95, with a steep discount for bulk copies for schools to give out to parents (20 copies for $20.00). A Student Guide to Study Abroad can be ordered for $14.95, with discounts of 30%-50% for bulk orders. Recently in school I have studied the conflict in Burma and the situation of the Karen people in both Hartford and Thailand. Since 1948 Burma has had the longest ongoing civil war in world history. The Karen people, an ethnic minority are being persecuted by the Burmese military government. Originally, the British occupied Burma until the Japanese invaded and tried to take over the country in World War II; the Karen sided with the British and were promised independence from the Burmese after the war, while the Burmese allied with the Japanese. After the war, the British never gave the Karen their independence and left complete control of the country to the Burmese, who began persecuting the smaller ethnic groups such as the Karen, forcing them to flee into Thailand and eventually being relocated around the world. I met some of the Karen refugees currently living in Hartford. Their stories touched me; these people, through no fault of their own, are living such hard lives. Meeting them reminded me yet again how lucky I am. This coming March I am fortunate enough to travel to Thailand to work at a refugee camp and medical clinic by helping conduct patient interviews and providing medical supplies. I’m also planning to visit a local school to bring supplies and teach English. In order to make a bigger difference, I am raising money for Burma Children Medical Fund (BCMF) which provides transportation and medical help to refugees. Any donation, no matter how small, can make a huge difference in the lives of less fortunate in southeast Asia. A $25 contribution can cover the costs for one patient to be transported to a medical clinic, taking the first step towards the treatment he or she may need. My goal is to raise $2,500 which would provide medical treatment for 10,000 people for six months. 100% of your donation will go directly to help the Karen people. Donate online and get a US tax deduction: http://burmachildren.com/get-involved/how-to-donate/us-donations/ But in order for your donation to count toward my goal, you will need to send an email to michael@burma-projects.org and kanchana@burmachildren.com with a cc to stacienberdan@gmail.com and include my name and your contribution amount. Send a check made out to Burma Border Projects and either mail directly to them (Burma Border Projects, PO Box 20173, West Side Station, Worcester, MA 01602), or to me and I can mail it in. If the former, note that the donation is to go to the Burma Children Medical Fund (BCMF) and include my name so I get credit toward my goal. You can ask for a receipt for tax purposes. Send a check or cash to me. BCMF has requested that I buy supplies on the ground for the school and clinic, so all donations will not go through BCMF. Once in Thailand, I will be posting photos and updates on social media, so for those who donate, send me your email so I can share the links! Thank you very much! The full “Room for Debate” can be found here. Most companies expand internationally in order to grow their market share and increase revenue. The same applies to universities as many have jumped on the global bandwagon by setting up satellite campuses at various overseas locations, often ones subsidized by local governments. While I’m not opposed to U.S. universities expanding overseas, I worry that they limit students’ study abroad opportunities, don’t provide an in-depth cultural immersion and restrict academic freedom. Study abroad is more than taking classes to learn about globalization and how it affects one’s field and career. Although U.S. students attending these satellite campuses are actually living in the host country, they’re still part of the American education system. Generally speaking, they are taught by American professors who include an international or local component to their subject material. But all too frequently, the whole experience is more American than international. In order to experience a different approach to teaching, learning and the classroom environment, U.S. students should be encouraged to take classes not offered on their home campus at local universities that are taught by local professors. This will fully immerse them in an international educational experience and enable them to work through the cultural differences that will help prepare them to work later with colleagues, supervisors and clients from different backgrounds. This local academic environment should be further enriched by an immersive living experience, possibly with a host family. Study abroad is more than taking classes to learn about globalization and how it affects one’s field and career. It’s also about self-discovery and stepping outside your comfort zone. It’s about navigating different systems, making yourself understood in another language and/or cultural context, and dealing with the unknown – or at least a completely new and different experience. Satellite campuses just can’t offer that to the same degree.